The line "I brought you into this world and I'll take you out" is often used jokingly, but it may be accurate when it comes to the FBI and the .40 S&W cartridge, especially in light of a 2014 report by the FBI's highly respected Training Division. First, let's revisit a little history, shall we? The .40 S&W cartridge only exists because of the FBI. It grew out of the FBI's search for better ammo after the famous 1986 FBI Miami shootout where two agents were killed and five wounded. The FBI laid a lot of the blame, right or wrong, on poor ammo performance in that gunfight. The suspects suffered fatal wounds&apos;¦but kept on fighting. The FBI needed a process for testing 9mm and .45 ACP ammunition after that shootout in preparation of replacing its issued revolvers with semi-auto pistols. That led to the development of the FBI Ammunition Testing Protocol, which is used to this day. During the testing, FBI Special Agent-in-Charge John Hall also used his Colt Delta Elite, chambered in the relatively new 10mm cartridge. The original 10mm auto loading is stout. Norma ammunition featured a 200-grain bullet at 1200 fps, or a 180-grain bullet at 1300 fps. Incidentally those original beastly loads ended up breaking a lot of Colt Delta Elites, as recoil was severe. The FBI found that the best-performing load, achieving the desired penetration without excessive recoil, was a downloaded 10mm featuring a 170-180 grain bullet travelling 900 — 1000 fps. The .40 S&W cartridge was developed in part by law enforcement, for law enforcement. But with a new report, the FBI may have just declared the cartridge obsolete. That led to the development of what is euphemistically referred to as the 10mm Lite, which is simply a downloaded 10mm. However, that cartridge's life with the FBI was short-lived; the main problem with it was that physically it was large. It was the length of a .45 ACP, which means guns chambered in it had to be larger and thus more difficult for agents with smaller hands to manipulate. The .40 S&W cartridge, a joint venture between Smith & Wesson and Winchester debuting at the 1990 SHOT Show, was the solution. Engineers basically shortened the 10mm Lite cartridge to the length of the 9mm. Same bullet diameter, same bullet weight, same velocity, just in a more compact package. The typical .40 S&W loading is a 180-grain .40 bullet traveling about 1000 fps. Some consider the .40 S&W superior to the .45 ACP for law enforcement for several reasons. Recoil was not as heavy, which is always a consideration when you have smaller and/or female agents, and magazine capacity is increased. Very soon after the development of the cartridge, many gun manufacturers introduced models chambered for it (usually double-stack 9mm semi-autos upchambered to .40). At the time of the development of the .40 S&W cartridge, bullet manufacturing technology was not anywhere as advanced as it is today. Getting a hollow-point bullet to expand at handgun velocities was a "maybe" proposition. Therefore, bigger bullets were always thought to be better. "Big bullets let in a lot of air and let out a lot of blood," as Elmer Keith used to say. The first bullets I ever examined that had been fired into and recovered from a human being were Federal 9mm 147-grain Hydra-Shoks. They were fired by a local deputy in 1990 out of his SIG 226 into an armed suspect. The deputy fired seven rounds, and all of them hit the suspect (which is damn fine shooting, and what happens when you require your officers to qualify at the range every month). However, of those seven rounds, only one of them properly expanded. The .40 S&W splits the difference between the 9mm and .45 ACP, and was designed to provide a "Goldilocks zone" combination of caliber, bullet weight, and velocity. This lack of expansion isn't necessarily the fault of the Hydra-Shok design or the 9mm cartridge. The problem is the combination of bullet weight and velocity; at that time (and really still to this day) a 147-grain bullet (which is heavy for the 9mm) cannot be pushed out of a handgun-length barrel fast enough to reliably expand. However, even lighter weight 9mm bullets of the day did not reliably expand. The FBI adopted the .40 S&W and where the FBI goes, the rest of law enforcement in America tends to follow. However, 25 years is a long time, and the bullets of today are not the same as bullets from the '80s or '90s. Many law enforcement agencies have already figured this out on their own. If you pay any attention at all to used gun sales, especially law enforcement trade-ins, you will see that the market is flooded with .40s. There is a very specific reason for that; law enforcement is moving away from the .40 S&W in droves. It is not that their guns are aging; it is that they are determining that there is now a better alternative to the .40 S&W, and that is the 9mm. Yes, what is old is now new again, what was bad is now good. The FBI Training Division may have driven the final nail into the coffin of the .40 S&W cartridge with its 2014 report, a summary of the justification for law enforcement use of the 9mm for duty carry. It will have many fans of the .40 and .45 quite upset. FBI's Ammunition Testing Protocol features many well-documented tests including this one, firing bullets through angled auto glass into ballistic gel. The introductory paragraph of this report, dated May 6, 2014, is very interesting and sure to make people sit up: "Rarely in law enforcement does a topic stir a more passionate debate than the choice of handgun caliber made by a law enforcement organization. Many voice their opinions by repeating the old adage 'bigger is better' while others have 'heard of this one time' where a smaller caliber failed and a larger caliber 'would have performed much better.' Some even subscribe to the belief that a caliber exists which will provide a 'one shot stop.' It has been stated, 'Decisions on ammunition selection are particularly difficult because many of the pertinent issues related to handguns and ammunition are firmly rooted in myth and folklore.' This still holds as true today as it did when originally stated 20 years ago." The report states several facts and conclusions, which we can address one at a time. The single most important factor in effectively wounding a human target is to have penetration to a scientifically valid depth (FBI uses 12 — 18 inches). The main complaint about the FBI Ammunition Test Protocols is that it overemphasizes penetration and nearly ignores bullet expansion. Critics also say a 12-inch minimum may be too much&apos;¦but the FBI Protocol has been around for over 20 years, and nobody has come up with anything better. LEOs miss between 70 — 80 percent of the shots fired during a shooting incident. Firing bullets into ballistic gel is part of all FBI tests. The gel has to have a certain consistency, measured by penetration of a BB fired at a specific velocity. Unfortunately, this statistic is dead on. Agencies don't seem to have the money or inclination to improve firearms marksmanship training for their officers/agents, so the only logical solution is to equip their people with handguns that make it easier for them to shoot more accurately (the NYPD has actually taken the exact opposite approach, but that is a matter for another article). Contemporary projectiles (since 2007) have dramatically increased the terminal effectiveness of many premium-line law enforcement projectiles. This shouldn't be surprising to anyone; bullet design and manufacturing technology has improved along with firearm design. But to be honest, the main factor pushing improvement in bullet technology has been the (wait for it)&apos;¦FBI Ammunition Testing Protocol! By developing a standardized repeatable test for defensive ammunition, the FBI has inadvertently pushed ammunition manufacturers to make better bullets. Now, most law enforcement agencies won't even look at an ammo offering unless it advertised by the manufacturer to pass the FBI Protocol. 9mm Luger now offers select projectiles which are, under identical testing conditions, outperforming most of the premium line .40 S&W and .45 ACP projectiles tested by the FBI. That might not be what a lot of the big bullet fans want to hear, but the FBI doesn't have a dog in this fight; they do not manufacture ammunition. Ironically, they developed the very ammunition testing procedures used by manufacturers to test their products. Manufacturers interested in producing ammunition which can pass the FBI Protocols have developed much better performing bullets like these Barnes TAC-XPs. Again, this is hard to argue. Modern Glocks have two pins in the front part of the frame because the sharp recoil forces of the .40 S&W were breaking the original single-pin design. All things being equal, pistols chambered in .40 S&W are noticeably harsher to shoot. The majority of FBI shooters are both faster in shot strings fired and more accurate when shooting a 9mm Luger vs. shooting a .40 S&W (similar sized weapons). This makes perfect sense, and equipping your employees with pistols that allow them to shoot more quickly and accurately is one sure way to increase their hit percentage in a gunfight. The FBI in part used identical Glock pistols, chambered in 9mm and .40 S&W, for testing. Big bullet fans will probably have read all of the above, yawned, and said "So what?" After all, it is the performance of the cartridge against an adversary that determines its usefulness. So the next point from the FBI paper will probably be the most contentious. There is little to no noticeable difference in the wound tracks between premium line law enforcement projectiles from 9mm Luger through the .45 ACP. What is interesting is the report takes great pains to point out that "handgun stopping power is a myth." They try to disabuse people of the notion of the "one shot stop," unless it is a shot to the suspect's central nervous system. They state: "Studies of so-called 'one shot stops' being used as a tool to define the effectiveness of one handgun cartridge, as opposed to another, are irrelevant due to the inability to account for psychological influences and due to the lack of reporting specific shot placement. The FBI briefly switched to the 10mm Lite cartridge in the S&W 1076, but since the cartridge is as long as a .45 ACP, the frames on the gun were too big for many. In short, extensive studies have been done over the years to 'prove' a certain cartridge is better than another by using grossly flawed methodology and/or bias as a precursor to manipulating statistics. In order to have a meaningful understanding of handgun terminal ballistics, one must only deal with facts that are not in dispute within the medical community, i.e. medical realities, and those which are also generally accepted within law enforcement, i.e. tactical realities." Many readers heavily invested in the "bigger is always better" school of thought may dismiss many of the above FBI findings as inconsequential or irrelevant, but the FBI here is not studying hand-picked data but rather quoting medical observations. "Due to the elastic nature of most human tissue and the low velocity of handgun projectiles relative to rifle projectiles, it has long been established by medical professionals, experienced in evaluating gunshot wounds, that the damage along a wound path visible at autopsy or during surgery cannot be distinguished between the common handgun calibers used in law enforcement. That is to say an operating room surgeon or Medical Examiner cannot distinguish the difference between wounds caused by .35 to .45 caliber projectiles." The marketplace is full of ammunition loaded with premium hollow-points for the 9mm Luger, the cartridge the FBI Training Division now recommends for law enforcement. Is it any surprise, then, reading the summary of the FBI's Training Division? "Given contemporary bullet construction, LEOs can field (with proper bullet selection) 9mm Lugers with all of the terminal performance potential of any other law enforcement pistol caliber with none of the disadvantages present with the 'larger' calibers." 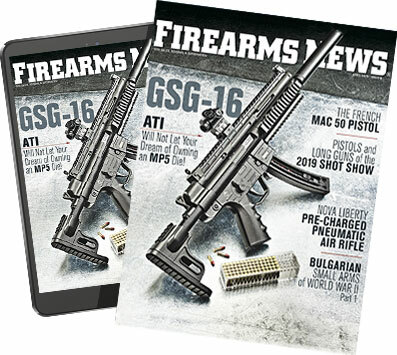 The report's summary is equally plain: "Given the above realities and the fact that numerous ammunition manufacturers now make 9mm Luger service ammunition with outstanding premium line law enforcement projectiles, the move to 9mm Luger can now be viewed as a decided advantage for our armed law enforcement personnel."